Fleetwood Bac have been rated by The Times newspaper as one of the U.K.’s top 5 tribute shows, alongside The Bootleg Beatles, Bjorn Again and the Counterfeit Stones with rave reviews in ‘The Stage’ newspaper,fantastic endorsements from the U.K.s leading Fleetwood Mac fansites,the official Stevie Nicks website. They have had ecstatic audiences wherever the band have played, including wowing audiences as far afield as St. Tropez and the Cayman Islands to Monte Carlo and Dubai. 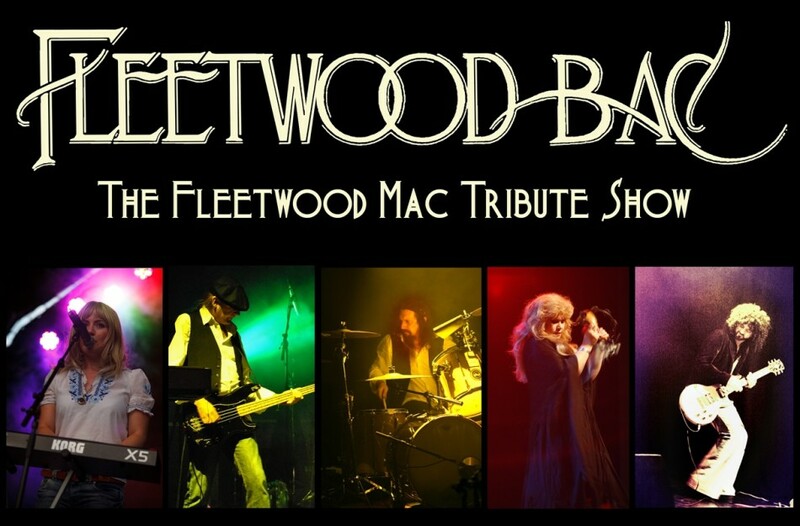 A Fleetwood Bac tribute show isn’t just about performing the music of one of the worlds biggest bands, Fleetwood Bac replicate a full Fleetwood Mac rock show as it was back in the 70’s & 80’s. Having performed over 600 tribute shows Fleetwood Bac have spent decades perfecting that classic Rumours era sound, the look, the mystical atmosphere and that infamous on-stage chemistry, all are portrayed with the passion and energy that got them the ultimate seal of approval from ‘Big Daddy’ Mick Fleetwood.